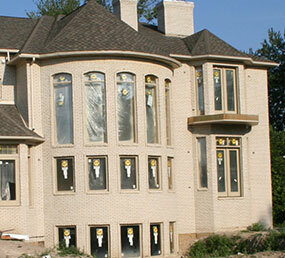 Call now for an honest estimate from your experienced, Metro Detroit roofer. Cornerstone Roofing is a locally owned and operated roofing repair and installation contractor committed to providing superior service and craftsmanship to West Bloomfield, Farmington Hills, Oak Park, Southfield, and the surrounding areas. We specialize in all things roofing, including routine repairs, installations, emergency storm damage repairs, as well as gutters and downspouts. 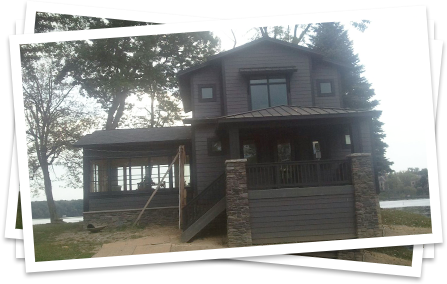 Additionally, we offer complete siding and windows services guaranteed to improve both your home's curb appeal and it's energy efficiency. Our experienced crews are licensed, insured, and highly skilled. We focus on quality, dependability, and integrity on every job we perform, and we are committed to always keeping our job site clean, safe, and professional. With over 20 years of experience designing and building homes, we have the knowledge needed to give you practical and informed solutions for roofing your home. After a comprehensive inspection, we can give you honest advice on how to approach updating your roof - whether you need a simple repair, a partial replacement, or a complete reroof, we'll find a cost-effective approach. When it comes to emergency repairs due to storm damage or otherwise, our goal is to get back to your life as quickly and as hassle-free as possible, and we'll work directly with your insurance company to help you get the compensation you deserve. You can count on Cornerstone for all things roofing, siding, gutters, windows, and more! Contact us today to schedule a free on-site estimate from a local company with a reputation for quality, integrity, and superior service. It's not always easy finding the extra money you need to upgrade your home and keep it well maintained. That's why we offer quick, easy financing with low monthly payments and low interest, so you can get the money saving home improvements you need now - without having to worry about your budget!